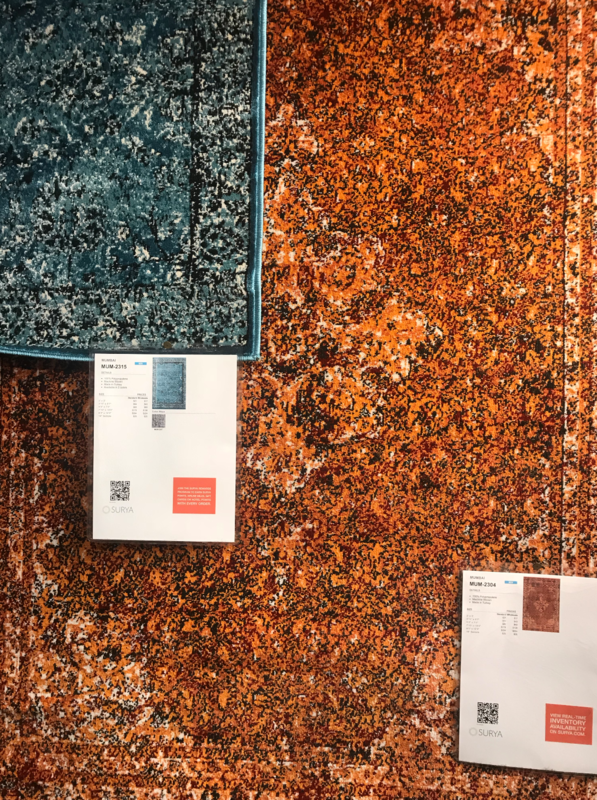 When we talk about color and style trends in interior design, it’s not quite the same as when one might discuss wearable fashion trends. Afterall, you might swap out your wardrobe with the changing seasons, but you probably won’t be updating your living room furniture four times a year. So what do we really mean when we talk about interior design trends? And is it even a fair or practical way to discuss home design and decor? Should we just stick to timeless pieces? 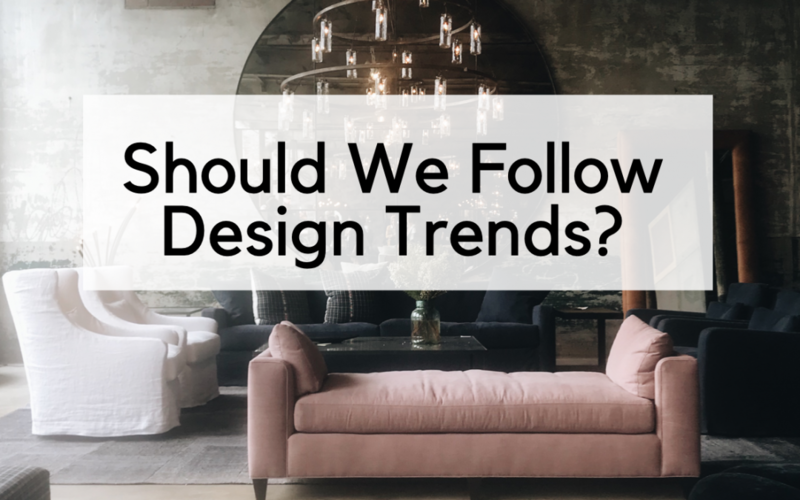 When discussing interior design trends, we’re talking about a longer, slower evolution — Minor updates or tweaks to the existing that enhance a space and make its inhabitants feel good. 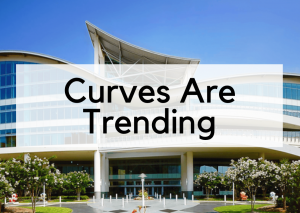 Those updates can come in the form of technology, sustainability initiatives, natural availability, and yes, of course, sometimes still aesthetics. 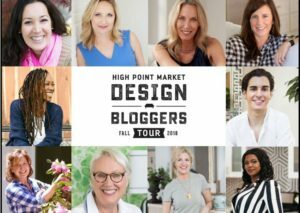 This year, we embarked a trend-hunting adventure through High Point Market on the Design Bloggers Tour with a group of fabulous design influencers. 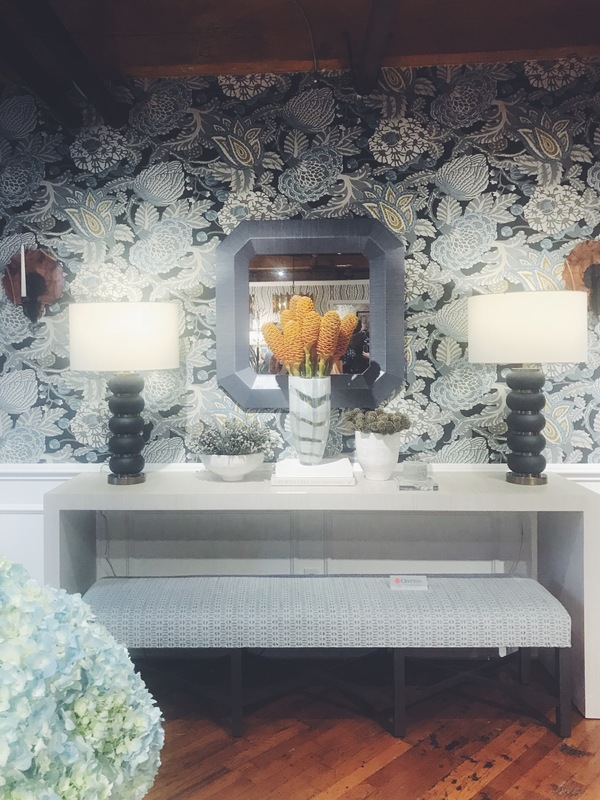 Here are some of the color and style trends that stood out to us from our favorite showrooms that we see incredible practical application for. Crypton performance fabrics are taking over! The company started producing low-maintenance fabrics for assisted living centers that you really didn’t even need soap or cleaning products to wipe up spills and they’ve expanded their reach 10 fold with bright bold patterns and prints utilizing the same performance technology. 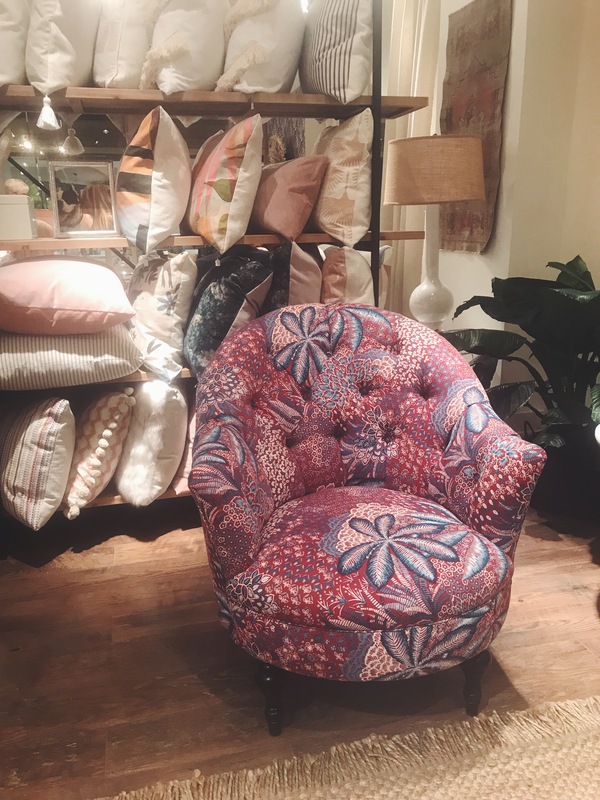 Their new Nomad collection speaks to the maximalism trend we’re seeing emerge all over the place. It’s all about color, print, and chintz! On the other end of the spectrum, we got a sneak peek at their unreleased Reverie collection full of pretty blush neutral tones. 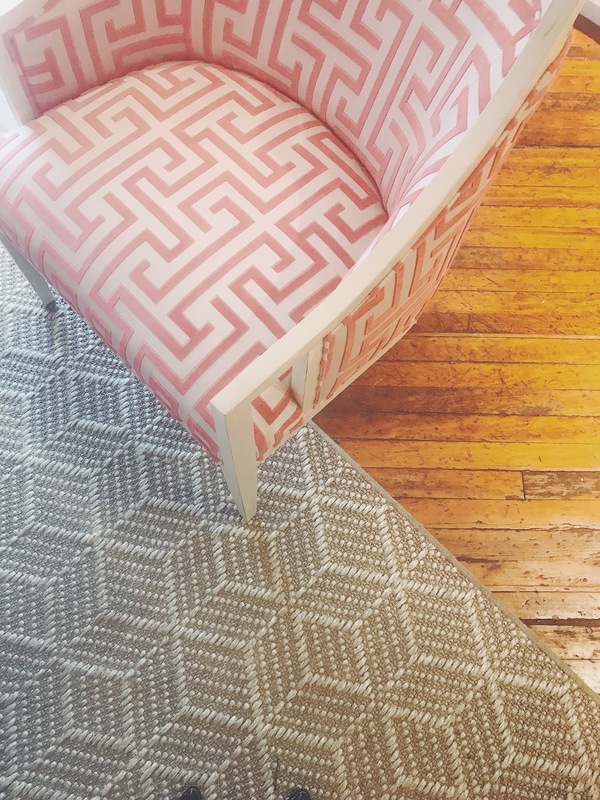 Crypton is leading the way in two color and style trends with their performance fabric technology: Bright, bold maximalist and pretty blush, feminine. Skylights allow the natural sunlight to wash over the Aidan Gray showroom: It’s a bit industrial, a bit romantic. The stand out collection from this year was Toma Haines Clark aka The Antiques Diva’s collection. These pieces were awe-inspiring. They’re designed to essentially give you a history lesson about the making and wearing of the antiques she sources all over Europe for her clients. 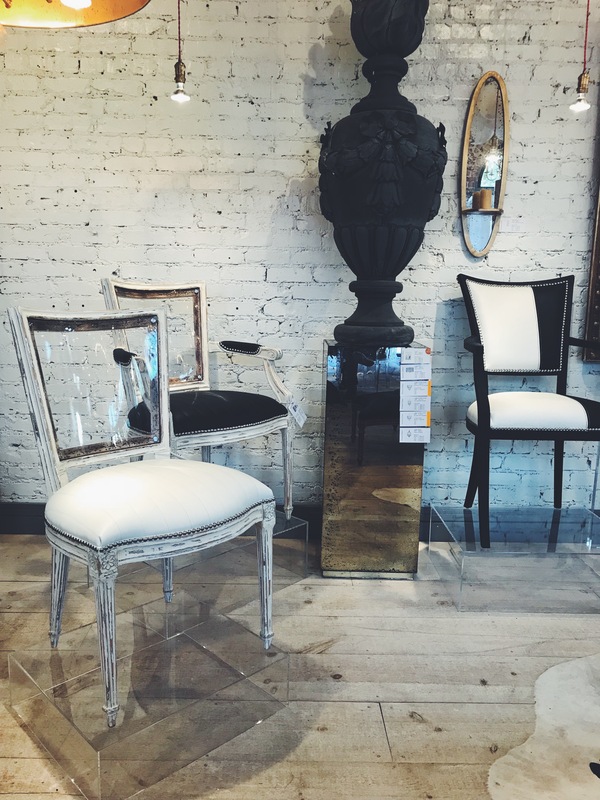 With lucite and animal print details, these pieces are not your grandma’s antiqued furniture. 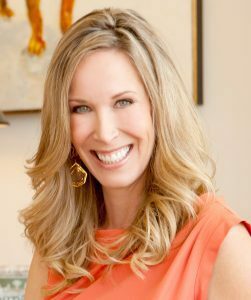 Aidan Gray is leading the way in color and design trends with their updates on tradition and glamorous and versatile design details. Dorel was a new brand for us. 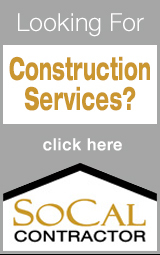 They specialize in small-space affordability and are incredibly on-trend. 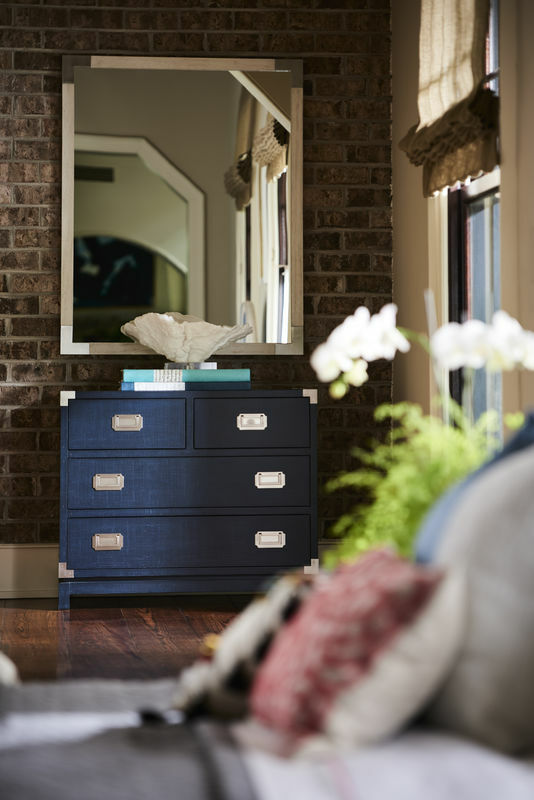 So many of their pieces are multi-functional, pulling out into trundles, including underbed or side storage. These pieces are perfect for a starter apartment or dorm. Two collections that were beautiful and on trend included their partnership with Cosmopolitan magazine, which was Barbie-blush, glamorous, and pieces came with all sorts of fun features like built in charging stations. The other is the Novogratz whose designs are super fun and certainly lean into the maximalism trend. 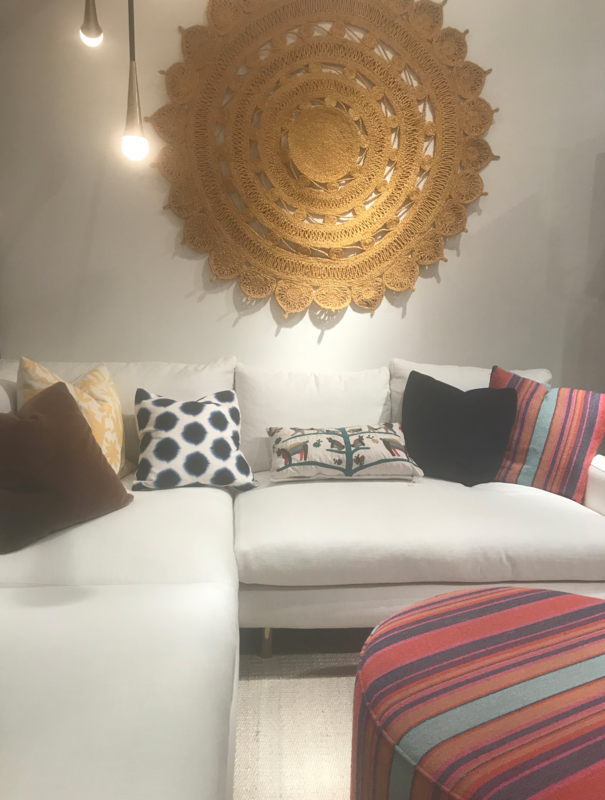 Surya has expanded beyond rugs and their newest lines include exquisite lighting and home accessories. 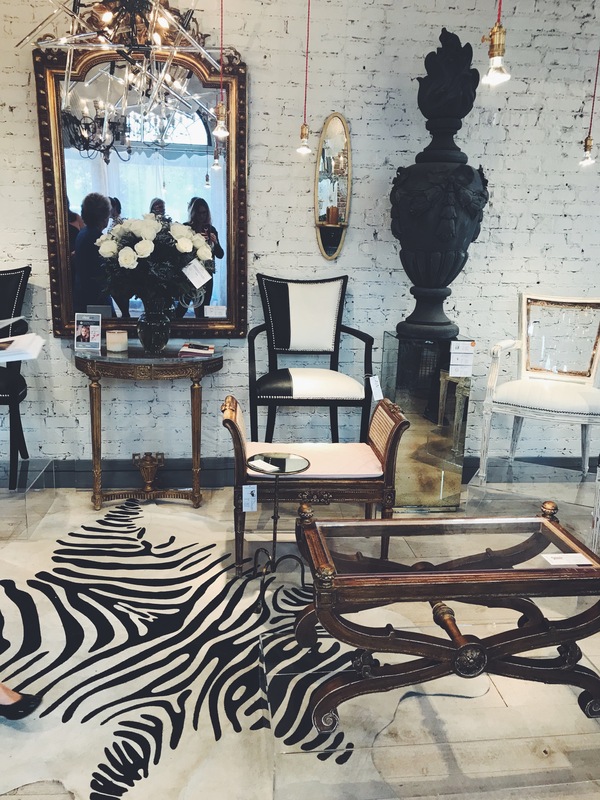 They continue to go strong with their sophisticated boho aesthetic and coordinating poufs to match the rugs. 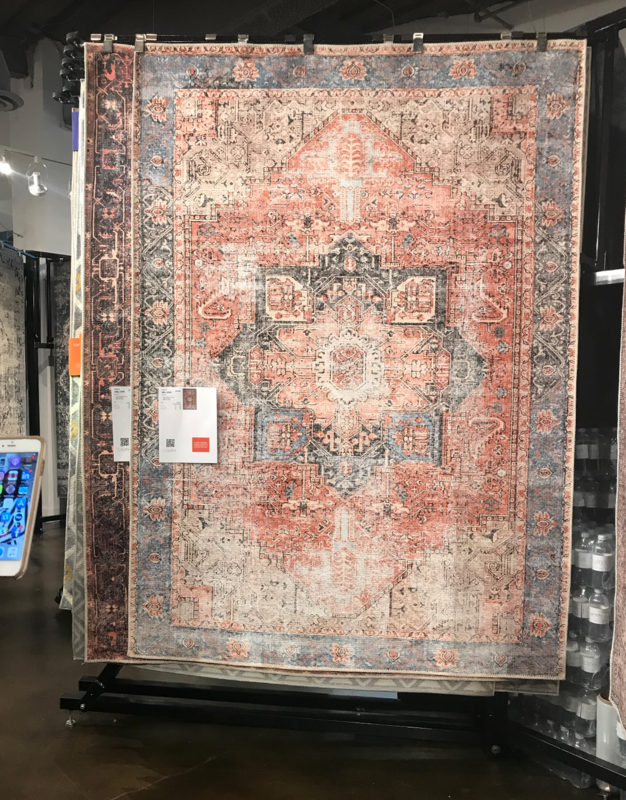 Everyone swooned over the Amelie rug in the teal and orange colorway. Definitely a crowd favorite! We also loved the additions to their earthy New Traditionals collection. We noticed a number of animal and hyde prints and in combination with their fringe-full hygge collection they pair heavy with cozy beautifully! Their lighting included some beautiful brutalist, masculine, mixed metals which we can see utilizing in many of our upcoming projects! 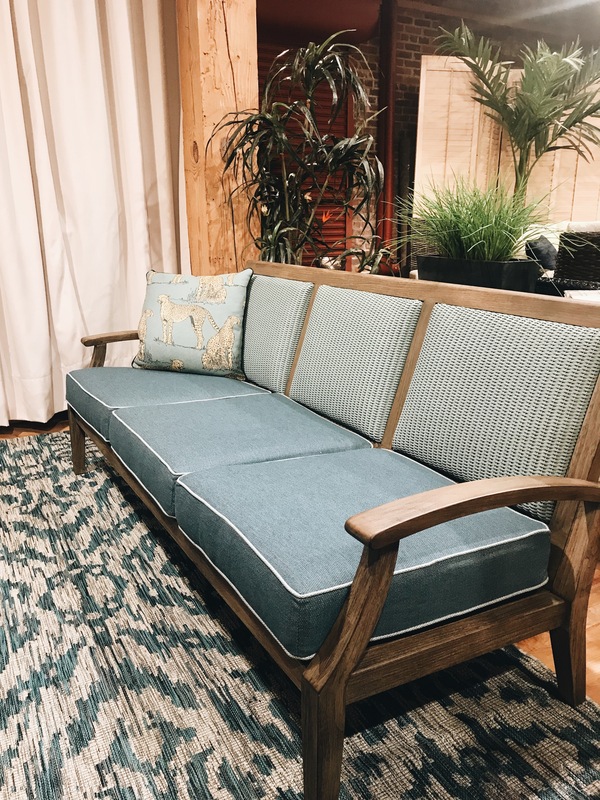 Cisco is a family-owned Los Angeles-based furniture company with the coziest, loungiest furniture and impressive sustainability initiatives. 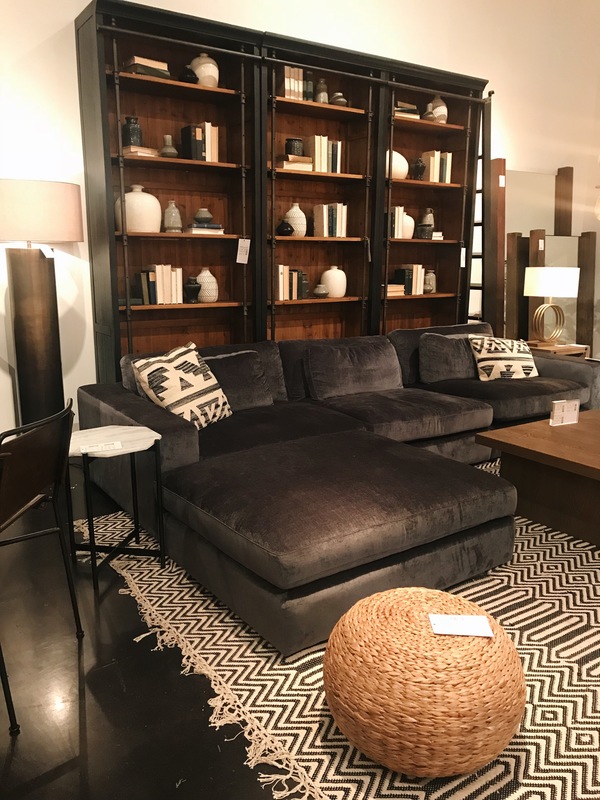 They make some of the most beautiful and creative sectionals and chaise lounges you’ll ever see! 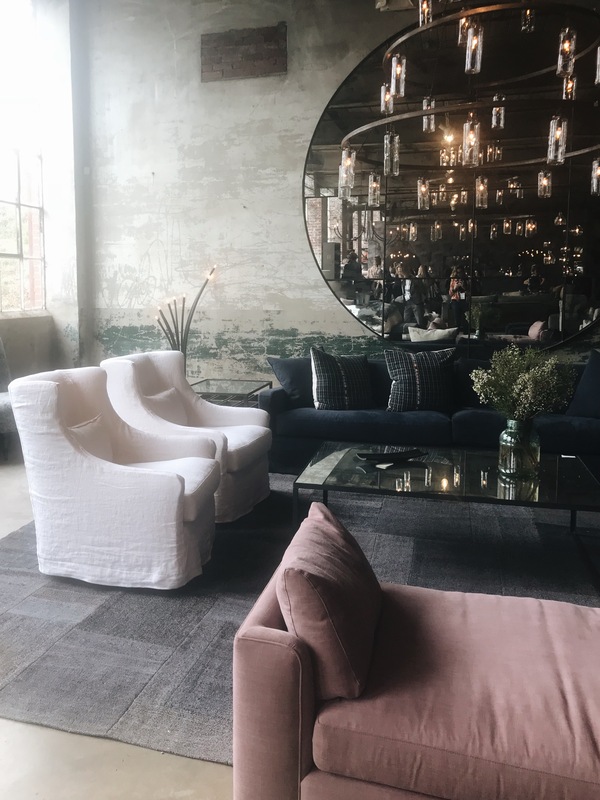 They produce bohemian furniture with a sturdier feel to it than most and all over the showroom was covered in lush velvets and leathers. 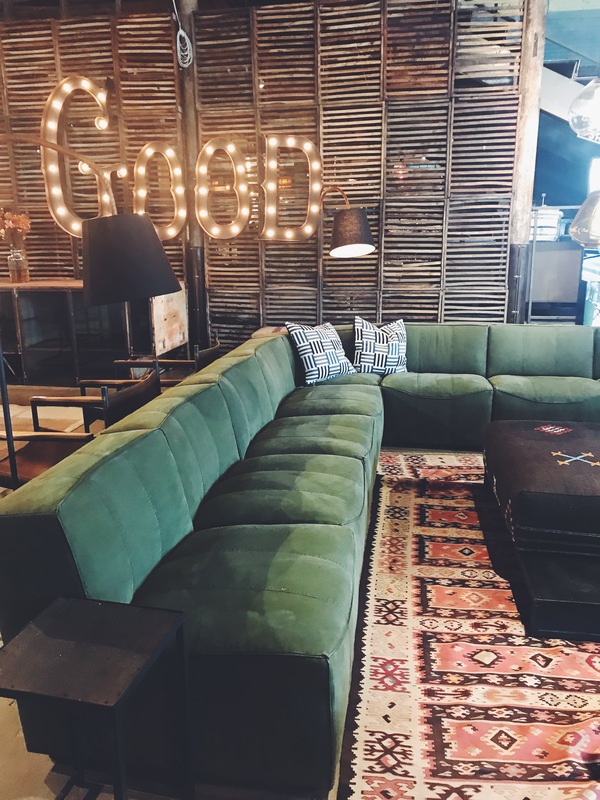 Cisco’s furniture is leading the way in two color & style trends with their sustainability efforts: green & denim velvets and sophisticated boho. This was another brand that was new to us. We had the best time in their showroom getting to know the Norwalk family. Every single person we came into contact with who works for the company was enthusiastic about the product and made us want to spend all day with them! This translates directly to the product. Their pieces are not only on-trend, but prioritize sustainability and function. 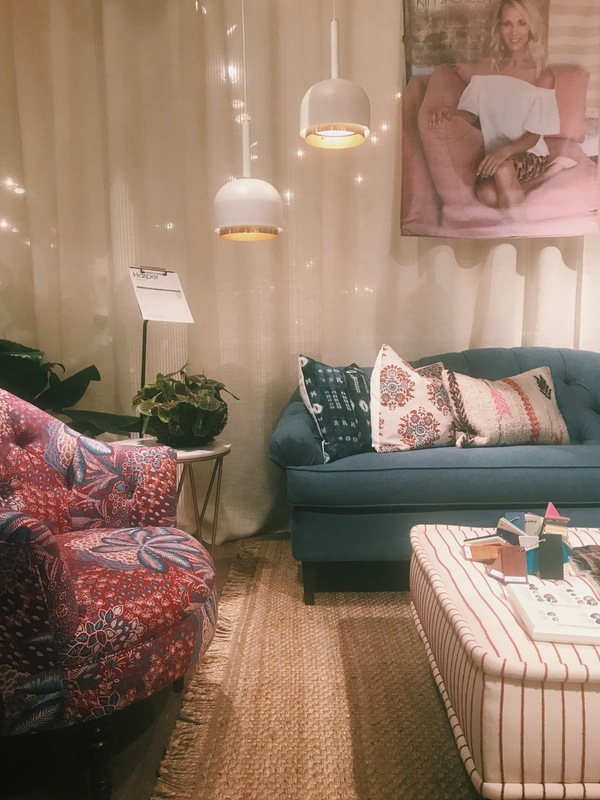 Kim Samela’s collection at the front of the showroom spoke to two different trends: Right at the front were bohemian inspired, brightly-colored couches (Another green velvet sofa!) 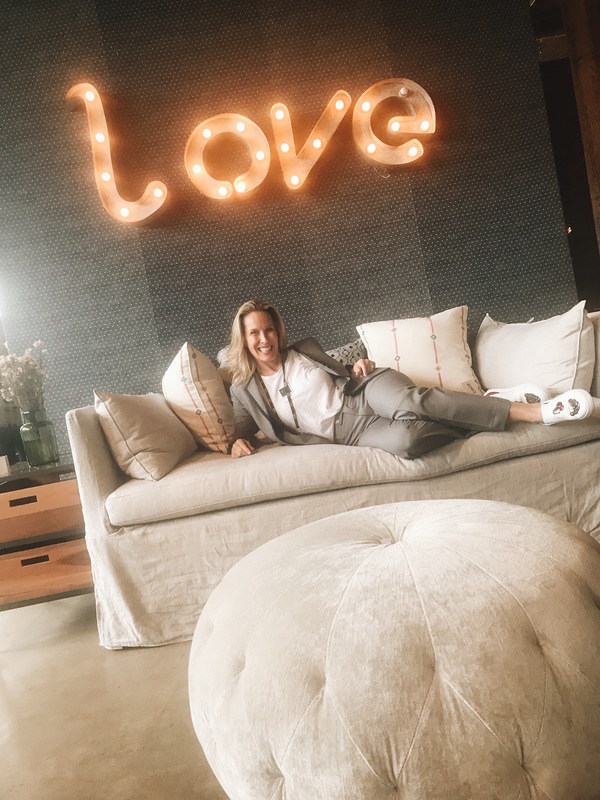 with great detail to the legs and arms, and on the other end of the spectrum were the cool coastal blues inspired by her Los Angeles home, and everything was covered in performance fabrics so her dog, Casanova, can cuddle up on the white couch too! 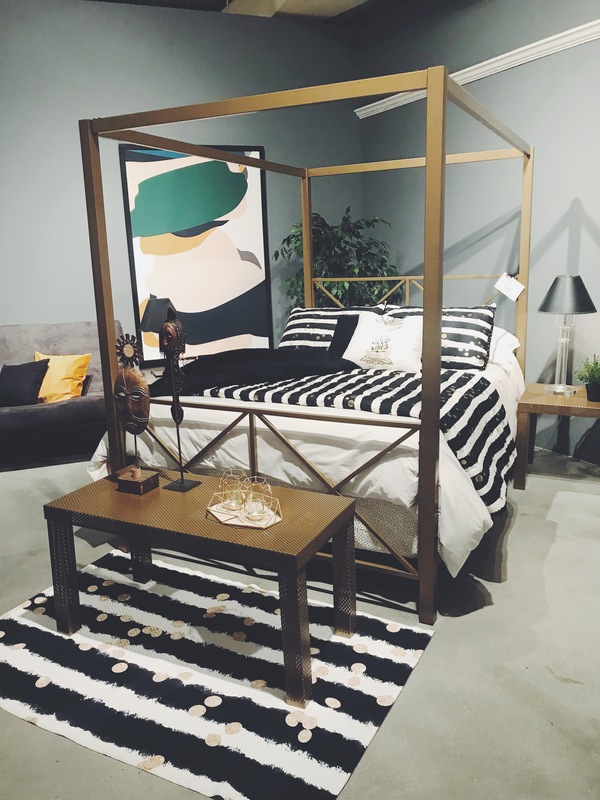 Norwalk is leading the way in style and color trends with their sustainably designed furniture with their jewel-tone palettes, coastal home-friendly pieces, and their attention to detail. Modern History and Sommerset share a showroom where the walls are adorned in incredible period-original art sourced by the owner that you could just as easily expect to find in The Met. 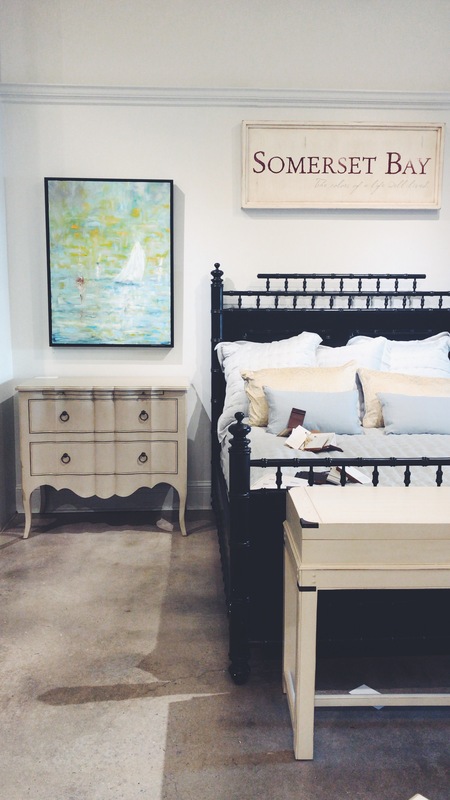 The furnishings and art were a beautiful combination of old and new and their coastal collections had a softness to them, in palette and with their use of natural materials. They invoked a sense of modern Miami glamour. 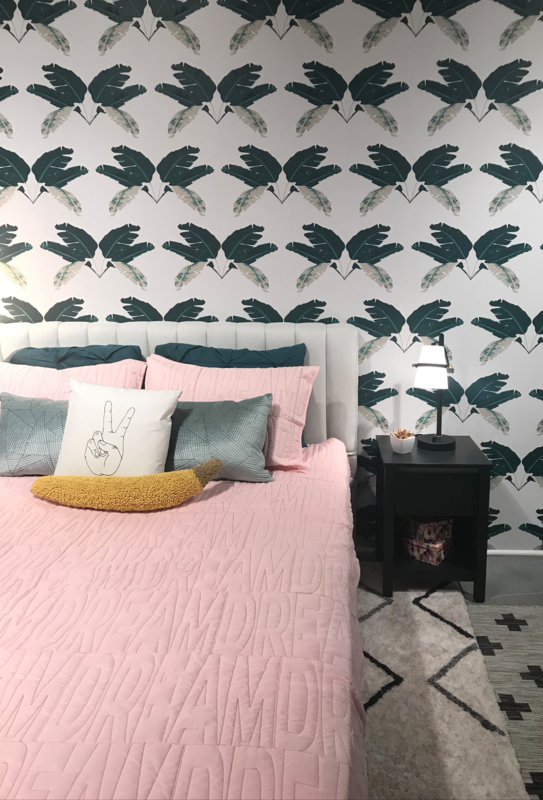 Modern History and Sommerset are leading the way in style and color trends with their excellent craftsmanship, their smart, elevated combination of old and new, and their soft, pastel palettes. You could get lost for hours in the Universal Home showroom, with something exciting around every corner. 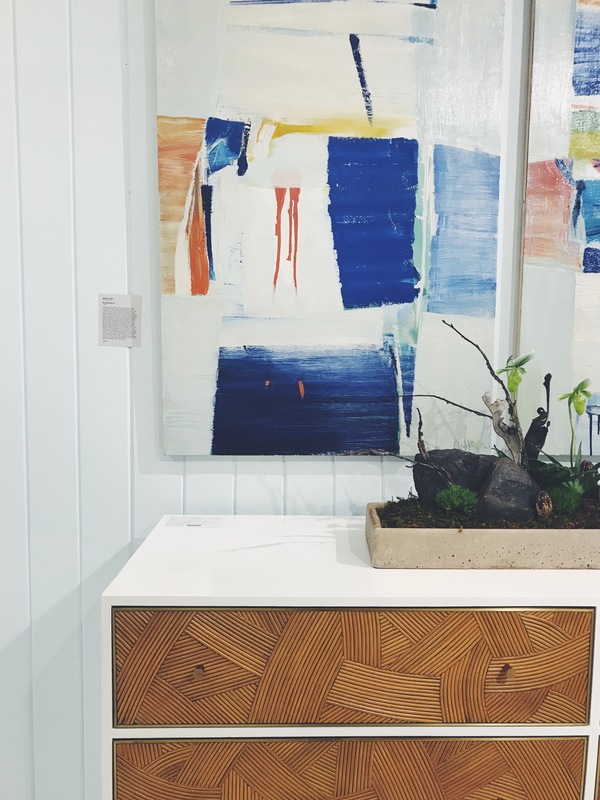 Their new collaboration with Coastal Living Magazine brings us beachy pieces made with natural materials with an air of adventure and playfulness. Not to mention you’ll never beat the price point for the quality of furniture you’re getting! 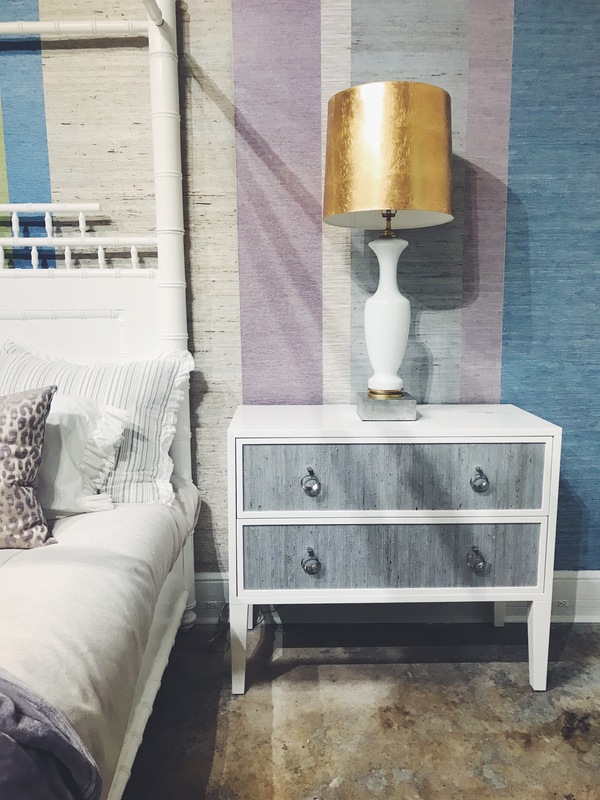 Universal Home is leading the way in color and style trends with their rich coastal palette and pieces that are functional and family-friendly. Picture the most beautiful, luxurious outdoor wicker furniture: That is Lloyd FLanders. Their wicker pieces come in every finish imaginable. And they’ve updated and elevated outdoor wicker with a wonderful new partnership with Sunbrella outdoor performance fabrics, so that your outdoor furniture can look and feel as fabulous as your interior furnishings! We couldn’t take our eyes off their Catalina collection and their exquisite use of tone on tone. 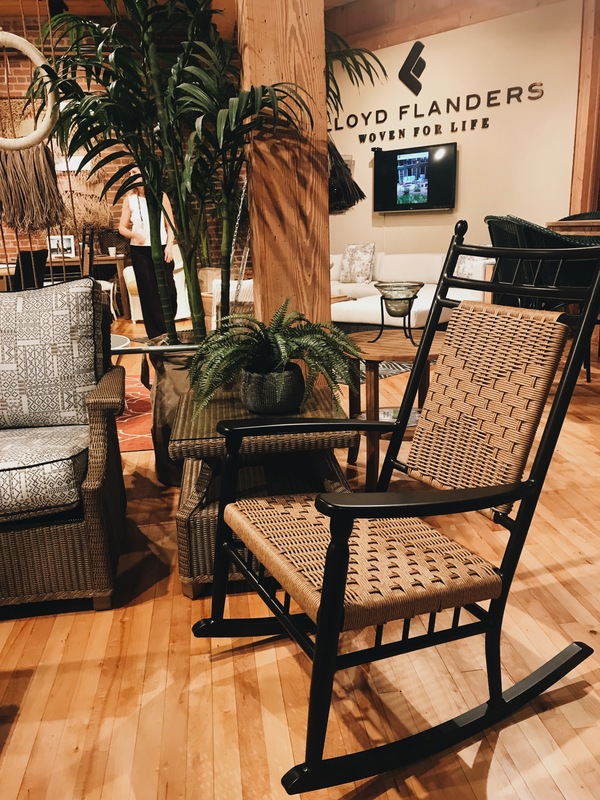 Lloyd Flanders is leading the way in color and style trends with their use of mixed tones to update their outdoor wicker furnishings. Four Hands is leaving the way in color and style trends with their use of monochromatic mixed tones, perfect for a study or industrial chic apartment. These pieces from Four Hands weren’t new this market, but are some of our favorites. We love how they were styled this market! 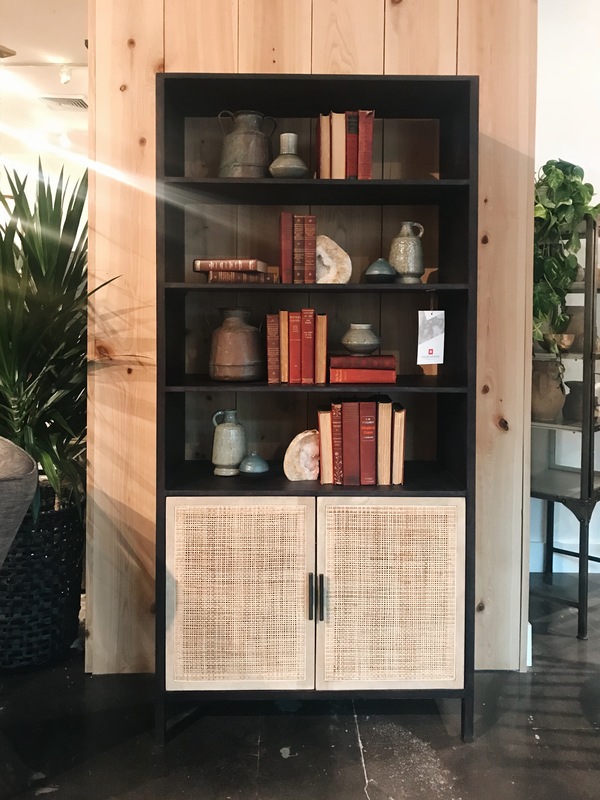 You may recognize the bookcase from one of our modern farmhouse projects. 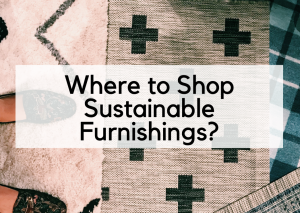 Where Do You Shop For Sustainable Furniture?